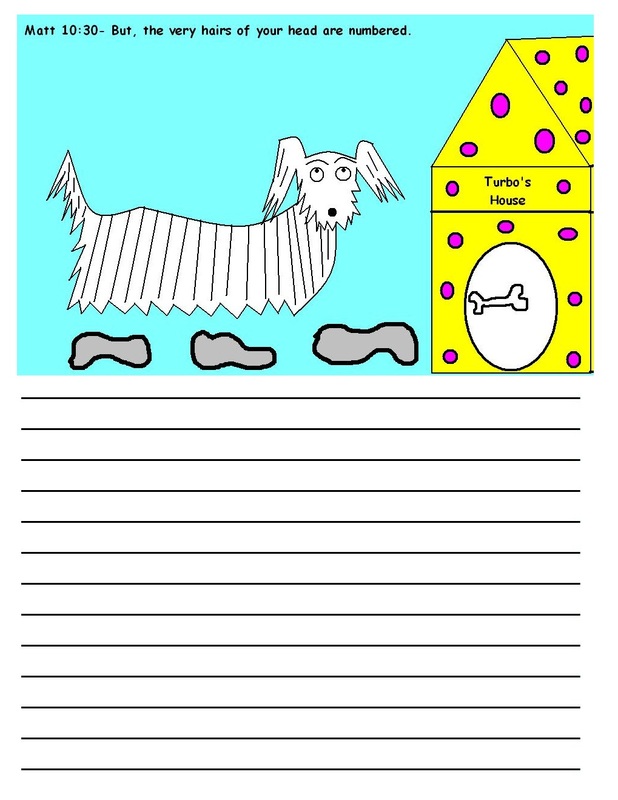 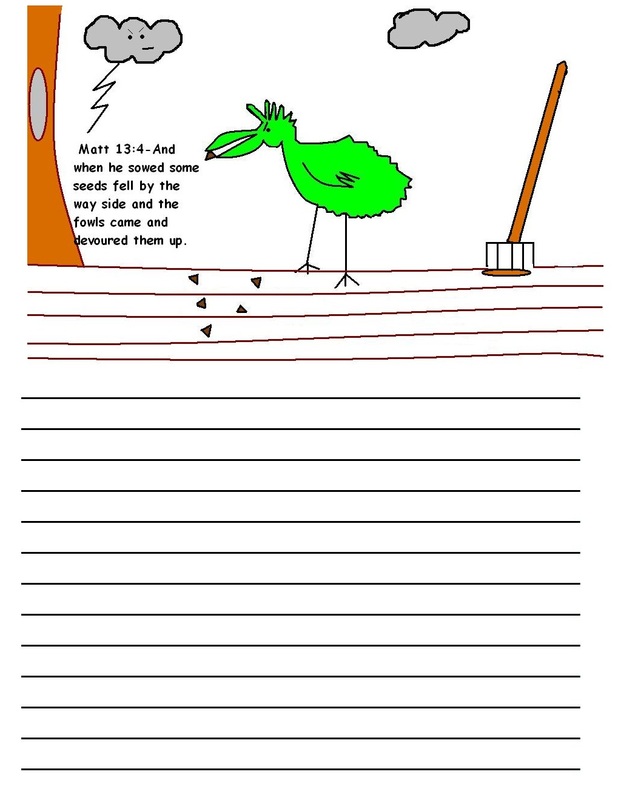 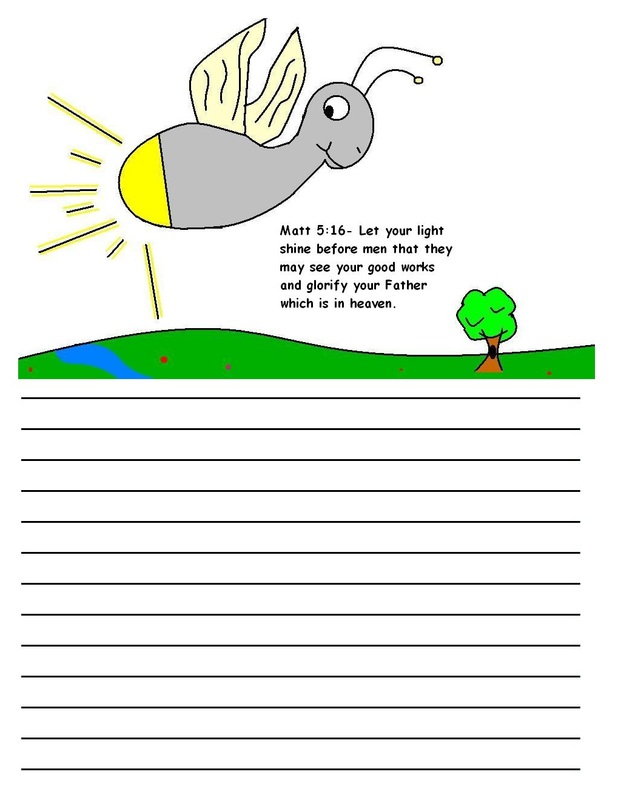 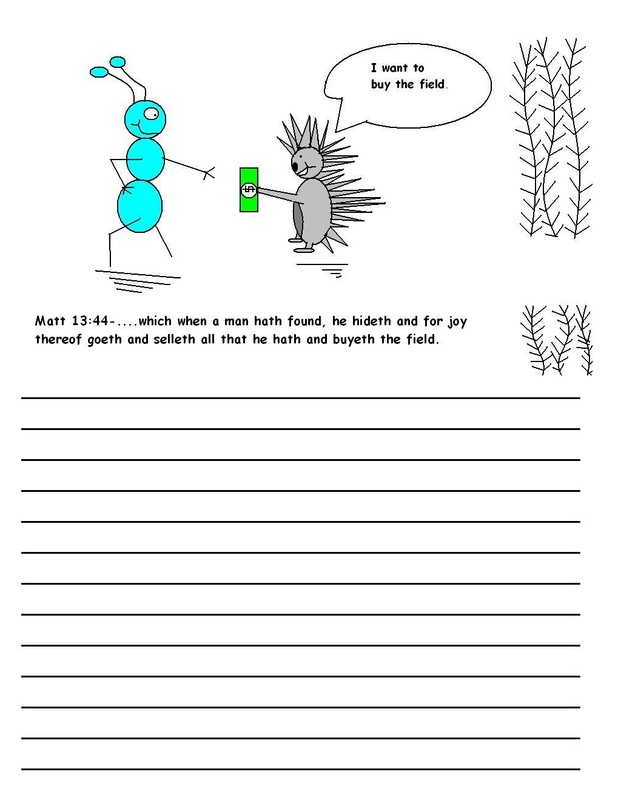 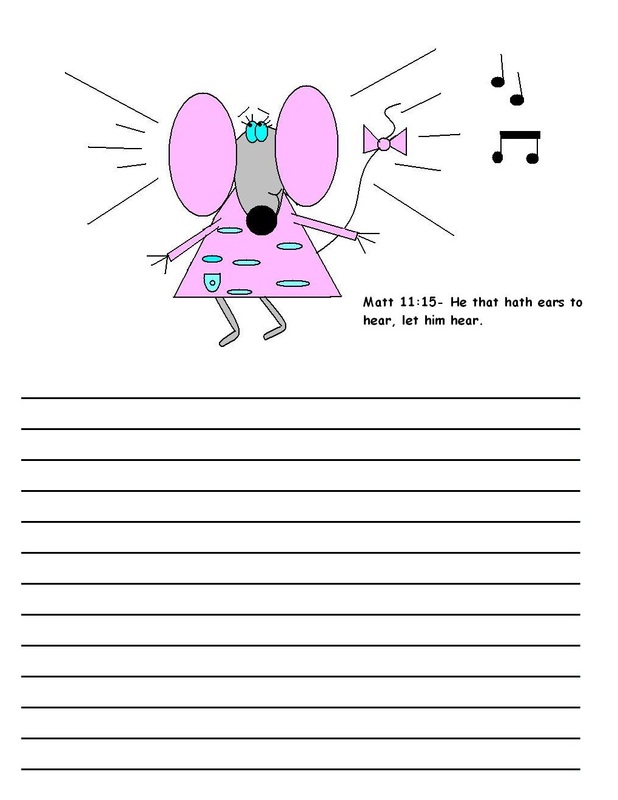 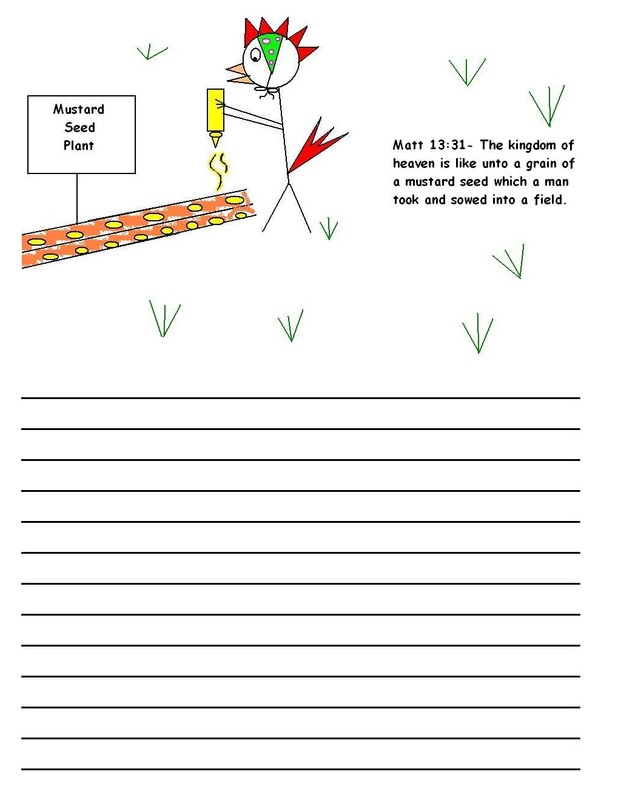 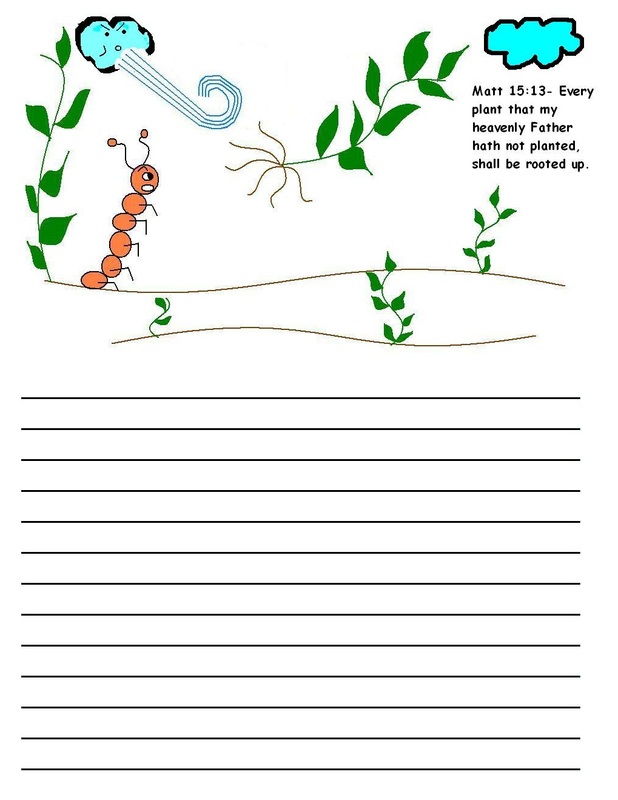 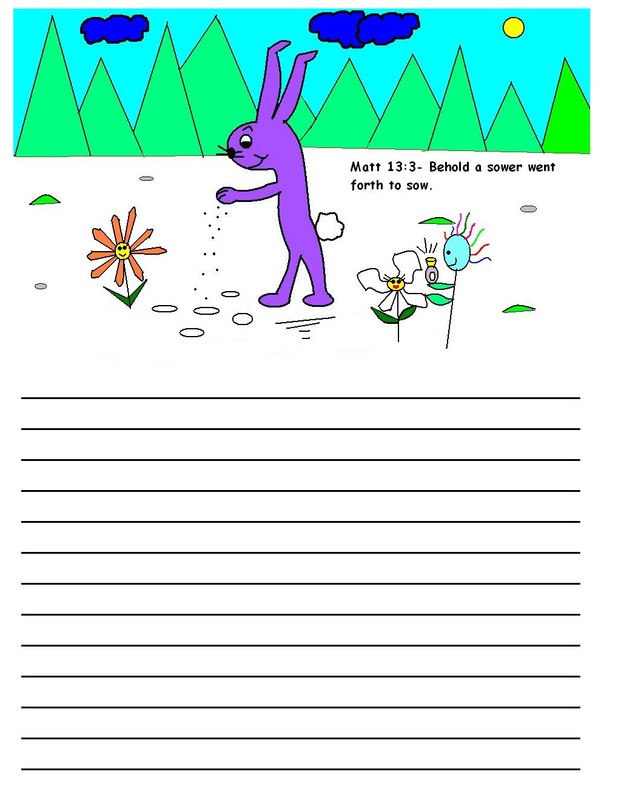 This writing paper has scripture for each picture, which gave me the idea for the name "PICTURE SCRIPTURE".Some suggestions for using this writing paper would be to have the kids use the bible and write more scriptures down that has to do with the picture. 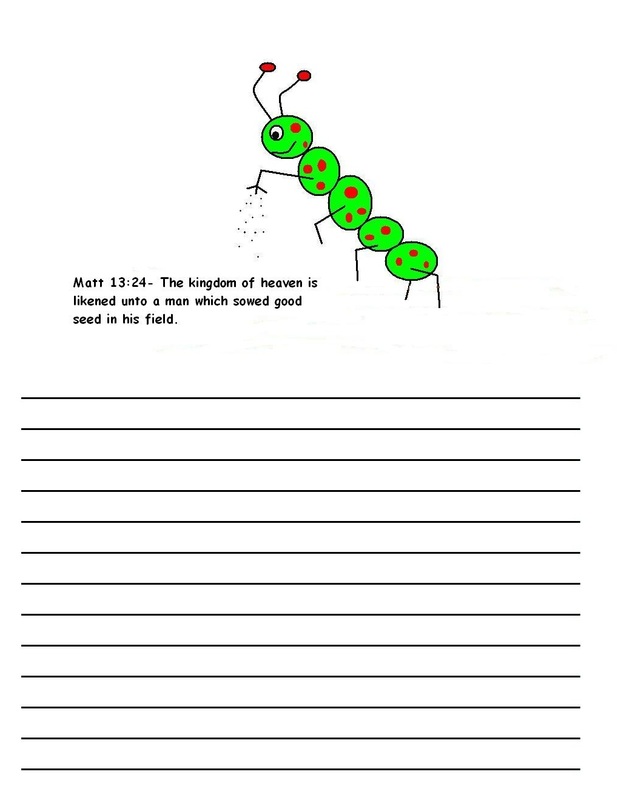 Or have the kids write down their own version of what they think the picture scripture is about, and what is pertains to. 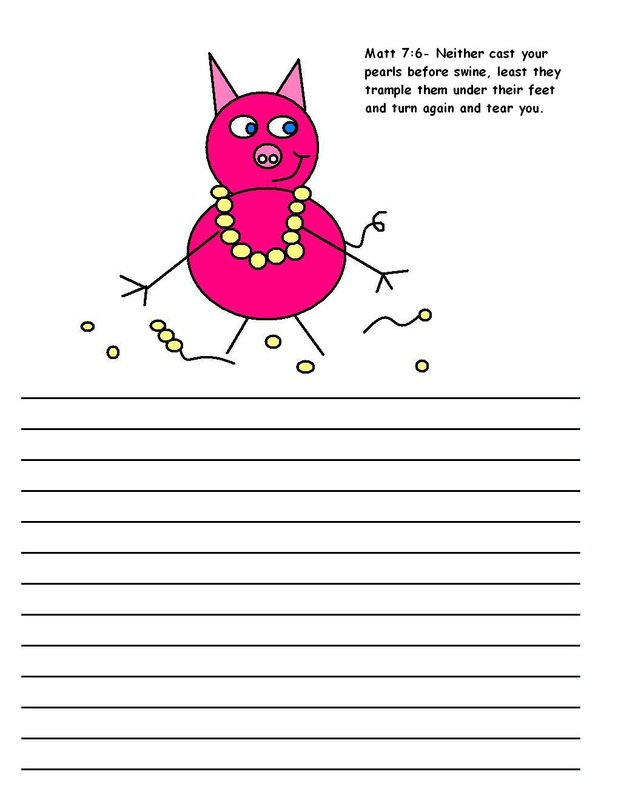 Let them have fun with it. 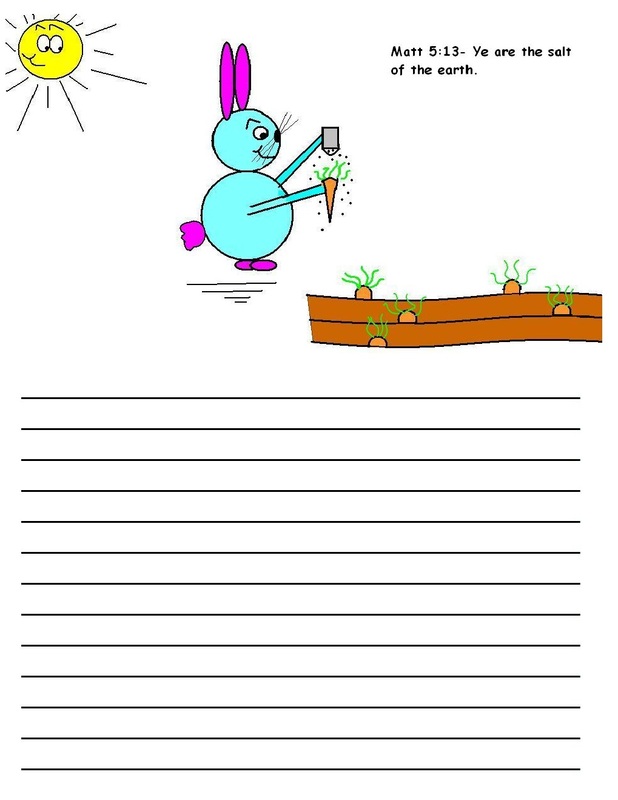 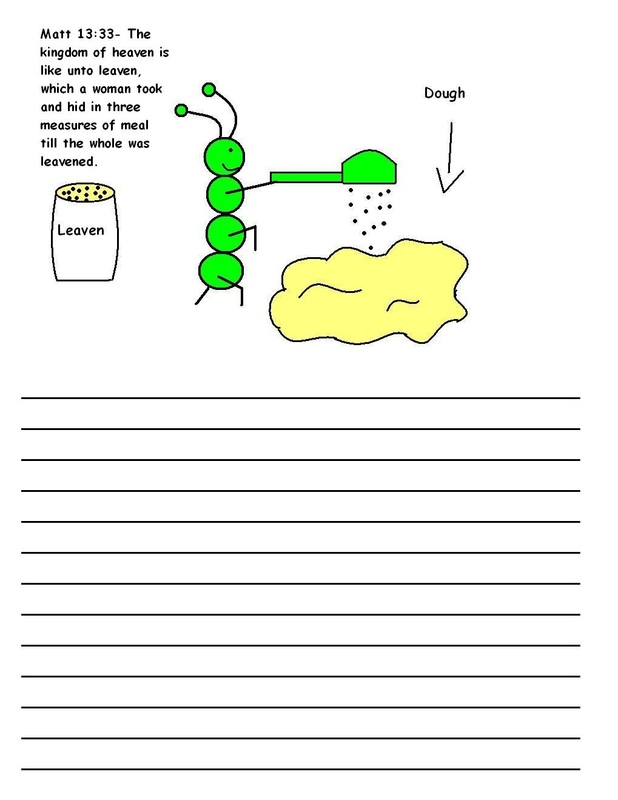 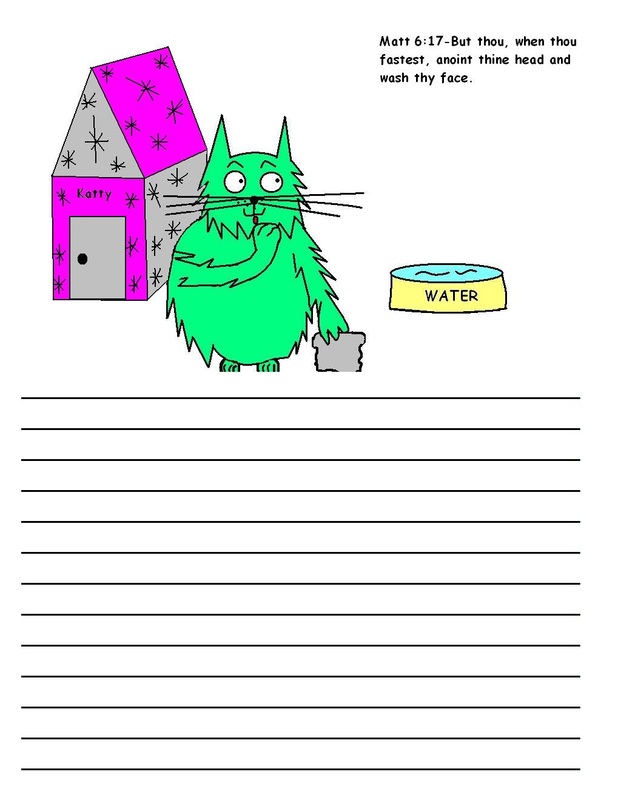 Or you can teach a lesson on one of the pictures below and have the kids write what they learned on the paper. 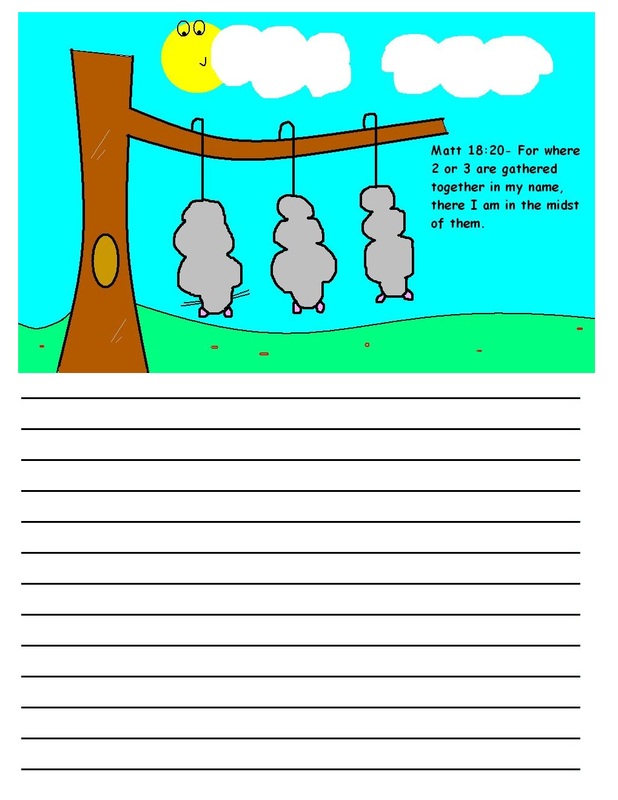 To Print: Just click on link and it will pull up a printable version for you to print from your own computer. 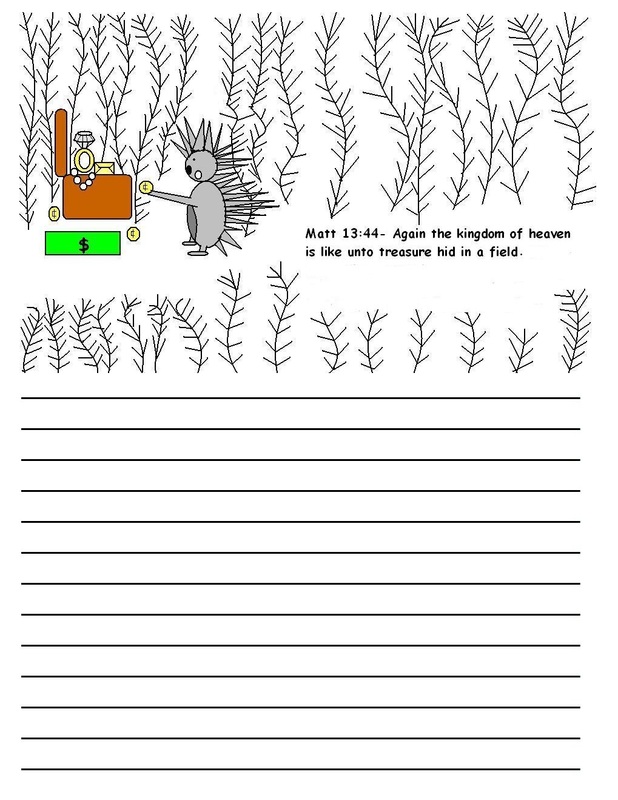 In the top left on your own computer click FILE and then PRINT. 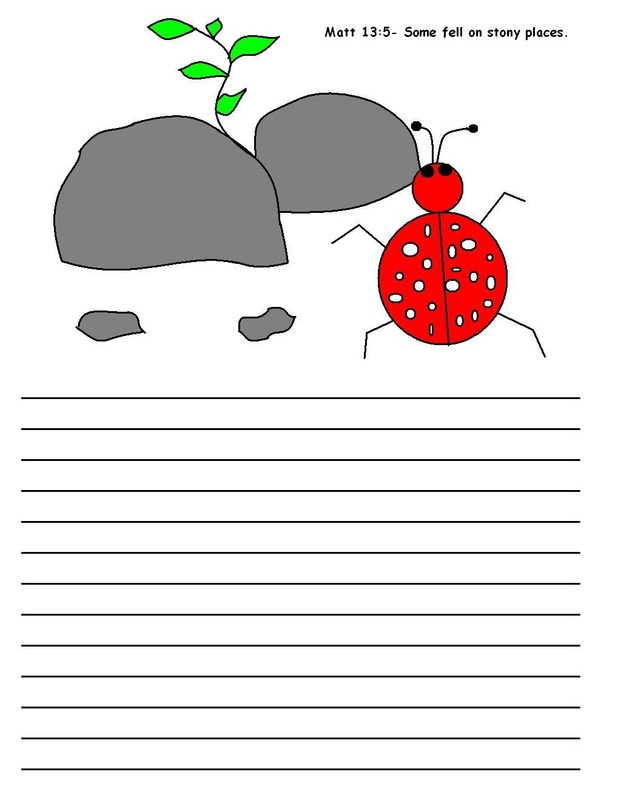 Every computer is set different so you may need to PRINT PREVIEW to make sure it will print the way you want it to.